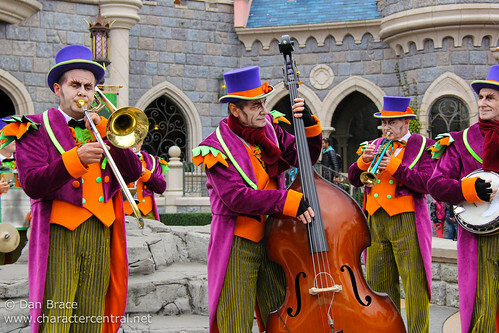 Join this creepy band as they play all the best spooky and villainous Disney Halloween melodies! The Fabulous Hallo-Swing Orchestra appear at intervals throughout Halloween Season, in Fantasyland's Castle Courtyard. They usually appear right before the Disney Villains come out to greet guests in the Courtyard, adding a lot of atmosphere to the creepy Halloween feel!